The highlight of the Design Philosophy and Approach is "PANCHTATVA" - The Five Elements: every living body is understood to be compounded of five basic elements: FIRE, WATER, AIR, EARTH, and SPACE. It is the balance/equilibrium of these elements that makes a body active, vibrant and procreative. M/s E I Tech. Pvt. Ltd. is a firm of Landscape Architects, Planners, Architects and Civil Engineers whose practice has a strong emphasis on environmental and ecological planning. 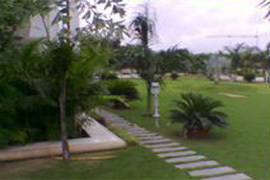 We at EIT attempt to integrate the built and natural environments. 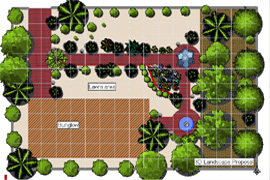 All the natural features are considered while developing the basic landscape plan. We, M/s E I Technologies Pvt. Ltd.,, offer a wide range of services ranging from landscape architecture, environmental planning, housing, urban and regional planning, architecture and building construction. 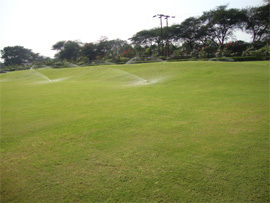 Our multi-disciplinary background enables us to handle various aspects of a project program starting from site search, landscape assessment, layout planning to detail design of landscape, architecture, thereby covering all attributes of the total environment. Copyright 2010, E I Technologies Pvt. Ltd., All Rights Reserved. Design & Development by E I Technologies Pvt. Ltd.